A FOOD-to-go company is set to create 20 new full time jobs thanks to a £250,000 investment in a new innovation hub. 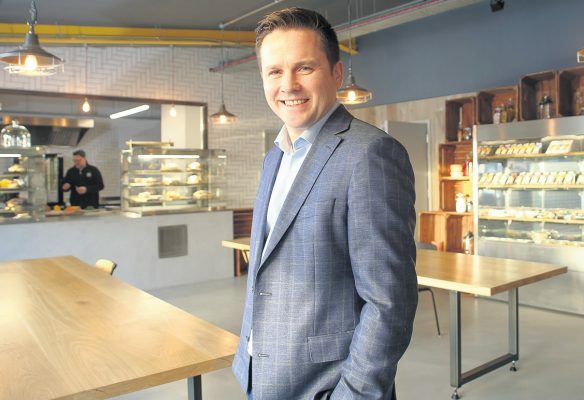 The major refurbishment at DELI-LITES Ireland’s Warrenpoint headquarters will help the firm with its plans for international growth with orders for its baked-goods and hot eats currently in the pipeline to Germany, Holland, and the Middle East. The business was founded by Brian and Jackie Reid in 1999 and employs over 250 people. The business produces around 15million hand-made sandwiches, wraps and salads annually and distributes across Ireland. Its customers include retailers such as Sainsbury’s, Debenhams, Boots and Applegreen, as well as local food service companies.